Friends from the nexus 2012 thread many of you want to contribute to the preparation of the global meditation events that we plan. I opened this thread in order to make it easier for you to do that work , get inventive and find others with whom to connect. The organisation of this covers different areas. Connecting with like minded people, local or worldwide healing /meditation centers, websites connected with evolution of consciousness, 2012… and getting them interested to join in when the event takes place. This can be done by everyone on board. - people learned in meditation will be helpfull to follow the ones who are new to it and guide them in a simple manner through it. your name down ,the country and city you live in , your qualifications if any or talents , the topic you chose to help in and an email where you can be reached outside Avalon as well.You can also add your needs. Write in orange for dissemination, in blue for Promotion, green for research, and purple for coaching. If you want to work in several of these sectors put your name several times respecting the colors. In that manner we can see who is who, how many we are and eventually connect with each other in working teams. As a team we can make giant leaps and reach our goal safely. Last edited by mudra; 01-07-2009 at 02:54 PM. I am currently working on making a summary of the nexus thread. need : someone who knows english well to go through the syntax and grammar. "Here, here!" Karelia waved her hand enthusiastically, excited about the prospect of sharing her love of the English language. Needs: Anybody who is a good web developer (designer) as I hope to keep this website as visual as possible, without involving too much text. I am rather self contained as I have built my own websites but going beyond textual content is technically difficult so far. Any ambitious visual artist and film-makers are also very welcome as I hope for this project to grow through contribution. As soon as the summary and the "specifics" are ready I have postulated the idea of asking MagentaPixie2012 to make a youtube video about it. She already has a relativly big audience, and she makes beautiful videos with a very nice and peaceful voice. What do you all think of this? We will need to have the "specifics" ready before we contact her of course. You might as well just toss the coin and make contact. Maybe she wants to join the forum. It needn't be a 'commission' type work. If she chooses to not join you can relay her efforts. Hi I live in the South Island of New Zealand. I wish to contribute in some way to the Nexus 2012 Event. For many years I have seen the role I have chosen is to help establish/maintain a safe spiritual radiant zone in this area of my country. To be of use. I am not technically savvy,but I read a lot, and I am experienced in meditation/focus techniques. So I guess research and and guidance would be my contribution. [COLOR="rgb(153, 50, 204)"]I would also need to establish an understanding of the different time zone involved in a mass meditation/focus event. Thanks for your offer Karelia. I completed the summary of Nexus 2012 tonight and just submitted it to Astralwalker. When all ok I'll submit to you for final check on syntax and grammar. Sanat, I completed the summary tonight and have just submitted it to AstralWalker. Should'nt be long before I can deliver it to you and everyone else. I'm currently going threw a restructuring period. and overloaded with all the information. I am willing to help out in any way I can. my needs now are to find my way threw meditation. I have practiced it some what in my own way but have no formal training or introduction. so Im starting with the basics. Im a builder, contractor, culinary grad, welder, and Im a few credits short of a wild life tec. studied hatchery operations for fish as well as a avid scuba & free diver. LOL..
Im more of a hands on guy. but Im looking into finding another way to give back to community and the planet. I just haven't found the path yet. Ill be fallowing this thread and help in any way I can. I could possibly help out with research and Promotion.as well as Distribution. Last edited by dagon; 01-07-2009 at 08:16 AM. Not sure which aspect I can help with, but I'm sure it'll become obvious. How is the music element incorporated? - I am/have been a sound engineer. I stand ready and willing to help out however I can. to do .and i will be ready . Your all so very fantastic . Life has momentum, and is very powerful - stillness is essential for introspection but physical action is required in this world, anger is a tool and can be very useful - we are perfect beings already and have so much potential. There is a grid already trapping our energies - do we really want to create another grid to trap them again, it seems to me like the same thing and not a shift into something new. Organized and arranged activities like these can be intercepted and the energy stolen! Consistency of action in our life energy is more important - not, oh it's 3 o'clock on Sunday, it's time to be nice to the world - I feel we should live this energy 100% of the time. I do support the concept, and know for a fact this type of activity has been going on since the sixties, but has it changed anything? we have all the information available to us to wake up, but are we awake? the universe loves us so much and we must remember to be the change we want to see in the world. Change ourselves and the rest will follow, it really is a done deal. What are you thinking? What are you feeling? What are you adding to this world? - What are you doing? We must all become aware of what we are sending out into the world! - It needs to be a constant discipline - its not about the destination, it is how you travel the journey. We must really be concerned with where we are coming from, our foundation - we must be love to send love. Your posting here is off topic for this thread. This is a thread for people who want to actively contribute to events planned along the Nexus 2012 thread.A place where they can put their names down , meet with one another , connect and get moving. I am a healer and teacher of healing techniques. I also do alot of dowsing and work on the earth enegies and grid clearing. Can help with leaflets etc. Meditation techniques I am not so hot on, I know how but prefer to leave it to others on how to go about it. But I will say that there is the connection between the grid and the meditation that I can help out on. Avoir? If you wish to look at my resonse to the nexus thread or on my page. I explain all about this. What you say is totally true. It was the reason that FIRE THE GRID gave off bad feelings to alot of people. I won't repeat my thread. But if these issues are not delt with in the correct way then we risk to just charge the negative side of the grid. We can only help ourselves. Nothing will just open the doors and allow us out. We have to unlock and go through them ourselves. Then once on the other side we will have help. The leylines grids etc will be no more in the future. We will be free. But this too brings complications that we should all be aware of. We should all be able to take responsability. Anger is not the way though. Love has a far greater destructive force when creating something new. If we take the grid off, in order to break free, then the equallibrium of the planet may change. We are dealing with the unkown here. So exact science will help only so far. But it feels right. Once the equalibrium has been removed. The polar shift etc can happen. The results I am sure you have heard many times from many people. It is our destiny and I am taking it by both hands on a daily basis. I think we should all do the same in our own particular way. If I know you are concentrated on your own path then I will meet on lmine. There is only one destination and from there it is infinite as to where you wish to go. Have you pack your bags? Or, have you secured your roots? I just want to say that it is an importance to build up one's psychic barriors. there are ways to protect yourselves and the area from using the energies. I will post on the Nexus thread some basics on psychic barriors. 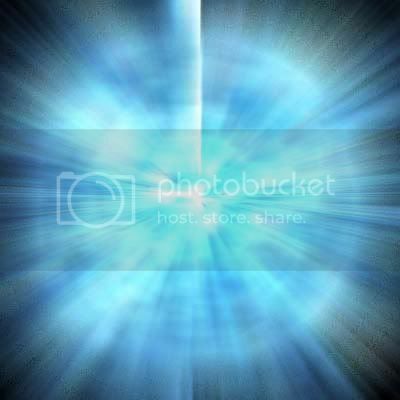 For a beginning,you should imagine a blue or white light surrounding you(Children can do this VERY well-use the "Child" in you!!) Reach for light,absorb light,wrap yourself in light-it changes where your brain is at (Focus is the key!!! )Changes your frequency!! A note to Mudra-Pls let the moderators decide if it is off topic-This does have to do with the gathering and it should concern everyone that people feel safe-no matter what level they are on. 3.It takes a lot of steady,determined effort and focus to see this thru-not some bubbling up front-it takes sheer stubborness to keep it going. I am not against what you are doing- but pls do not interfere with what I started-it just isn't polite in my opinion! !